Children's animation. 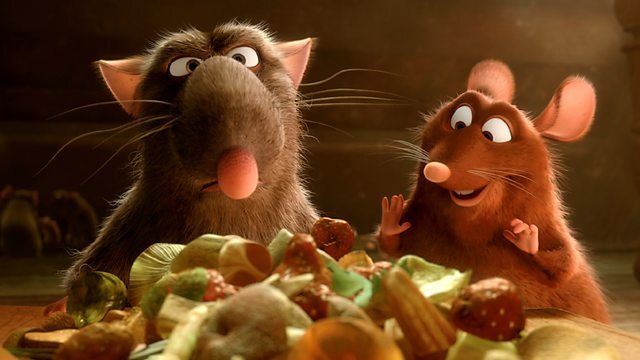 A rat moves to Paris to pursue his unlikely dream of becoming a chef at a top restaurant. With the voices of Patton Oswalt, Brian Dennehy and Peter O'Toole. Featuring the voices of Ian Holm, Brian Dennehy, Peter O'Toole and Will Arnett. The BBC Food site promises a heady mix of tomatoes, courgettes, peppers and aubergine.